Happy Monday everyone. I hope that you all had an amazing weekend. I can tell you that you guys freaking CRUSHED IT, on the 1st Lava Soap giveaway. I have 2 more so stay tuned for that. This is Episode 37 of the Podcast, and like all Monday’s I am taking your questions. To get a question in for a show like this, email me Charles(at)HumbleMechanic(dot)com with QUESTION FOR CHARLES in the subject. Camera I use. I use the lens that came on the camera. This is also the newer model. It seems mine is discontinued. Triple Square set I recommended. Trouble viewing? Watch “Viewer’s Questions ~ Podcast Episode 37” on Youtube. As always I love to hear your thoughts. Please post them in the comments section below. 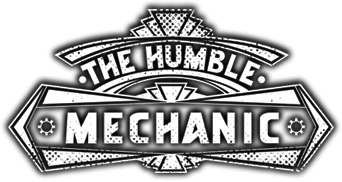 Again, if you have a question for a show like this, email me Charles(at)humblemechanic(dot)com with Question for Charles in the subject. Missed the option to ask a question but I have the following question though, I’ve heard many things about VW saying the transmission fluid never needs changing as it’s lifetime. I have to Passats and the fluid has never been changed. I have a ’03 V6 (81,000 miles) auto and a ’04 V6 manual (66,000 miles). Should I attempt to replace the fluid?